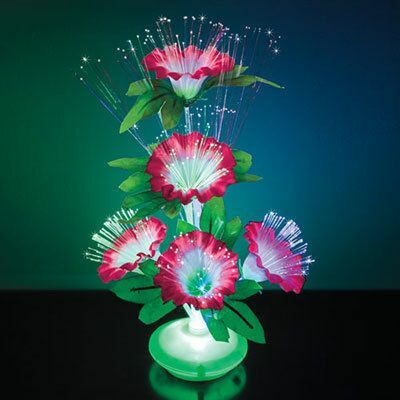 Amp up your décor with this unique Fiber Optic Pink Flowers! Faux silk blooms are pretty in pink and cream, with fiber optic lights accenting the flowers and stems in an array of colors. On/off switch located on base. Requires 3 AA batteries (not included). Imported. 14"h.